As unlikely as it sounds, one of the most common issues I see in my child sleep practice is children who are too tired to sleep well – whilst being tired at bedtime is great, being overtired can be disaster. Understanding overtiredness requires a grasp of “wakeful windows” – which are essentially the periods of time a child can be comfortably awake in one stretch. Wakeful windows are largely determined by age. Think of it like a pressure gauge; when a child wakes for the day, their sleep pressure is low as they are rested from their overnight sleep. As time passes, the pressure starts to steadily build until it reaches its comfortable maximum – at this time the little one is primed for sleep and if their schedule is working well, it will be nap-time. The period of sleep will reduce down the pressure, the child will wake refreshed and then enter a new period of awake time and the pressure will again start to increase. This pattern repeats until bedtime. Cortisol affects the body in a similar way to adrenaline. Children appear wide awake, even giddy – sleep is the last thing on their mind. But these little ones are, in fact, wired. As time goes on babies are likely to become increasingly cranky. A toddler may be less noticeably upset than a baby but their elevated cortisol level is likely to show in their behaviour – they may be particularly noisy, boisterous or even prone to hitting, biting and throwing things. Once a child is overtired, getting them to sleep may be a battle. Babies often cry as they are exhausted and desperately want to be asleep but their body just won’t let them. Overtired crying can be some of the most intense and sustained that a parent ever hears. 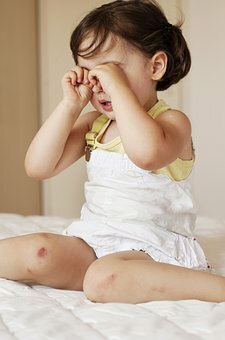 Toddlers may also cry but others will simply mess around – finding interest in anything but sleep, asking question after question and generally seeking to delay having to tackle the foreboding task of trying to sleep despite feeling utterly hyper. But once they’re asleep the worst is over, right? Unfortunately, getting an overtired child to sleep is only the first hurdle in what can be a very long race. Cortisol hangs around for a long time and an overtired child will typically wake more frequently in the night (or after only 30-40 minutes of a nap) and once awake may find it very hard to return to sleep – cue more crying and/or a little one being awake for an hour or more in the middle of the night. The closer to morning it gets, the harder staying asleep becomes for a child as their cortisol levels begin to rise (a normal function to drive us towards wakefulness as the day approaches). With the additional cortisol caused by the overtiredness, the process simply kicks in too hard and too fast, often meaning a little one feels ready to start the day at 5am. 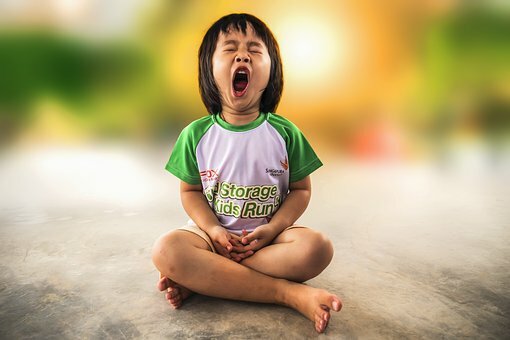 A cycle then develops where the shortened night sleep and/or inadequate naps maintain the overtiredness which in turn further inhibits the child’s ability to take the sleep they so desperately need. By far the best plan is to understand your little one’s sleep needs (which depend almost entirely on their age) and manage their daytime schedule to ensure they can sleep when and how much they need to. This doesn’t mean that life needs to be dictated by a little’s one routine – sometimes setting off 15 minutes early to an activity so that your child can take a quick nap in the car is enough to ward off a bedtime meltdown! Many parents, sensibly, watch their child for signs of tiredness and take that as the cue for a nap. Some children do exhibit very clear sleepy signs right at the start of feeling tired. Others, and it depends a lot on temperament, give far less away and by the time a parent sees an obvious sign, the window for getting the child down without a battle is rapidly closing. 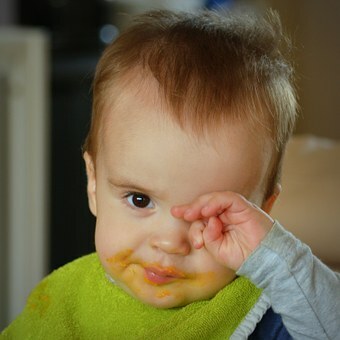 In terms of those “tired signs”, parents often wait for eye-rubbing, ear-pulling, yawning or not wanting to be put down. Typically, however, these are actually very late signs of tiredness. You may have more success getting your child to sleep without tears if you start the process as soon as your little one begins to lose interest in their toys, begins avoiding engagement by turning their face away or if they adopt a glazed expression. These are all early (but considerably less obvious) tired signs. If you know that your little one is already overtired, the only way out is to top up their sleep tank. This may mean additional naps and/or an early bedtime. Parents of early-risers often fear an early bedtime will lead to their little one being up even earlier – actually, on a temporary basis, the opposite is likely as the more a parent can limit their child’s overtiredness, the better chance the child has of being able to sleep until a wake-up time that starts with a 6 or 7. There are two golden rules worth bearing in mind: 1. no good comes from keeping a tired child awake, and 2. sleep begets sleep.